Could this be the film that proved we are not alone? "Andy," I texted, "Do you still have any contacts at Eastman House? 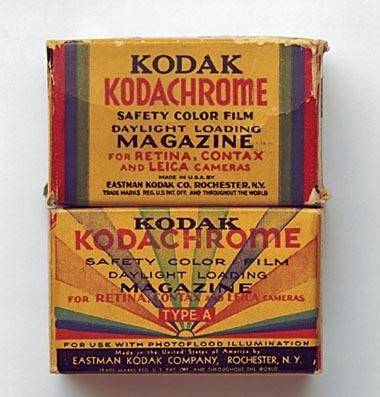 Do you think the preservation experts there would like to take a look at some old Kodachrome slides that are claimed to have been taken in the summer of 1947? Do you think they could validate that claim? And, if the slides turned out to be legit, then wouldn't the people at that film company that's connected with the Eastman House want to know that it was their product that finally proved that we've been visited by creatures from another world?" Andy agreed that they would probably want to know if their product could lay claim to that historical distinction, so he has reached out to them to see if they feel the way we think they should feel. I think they will. What do you think?